Good morning! It’s been two weeks since I posted. I actually had two weeks of posts prepped ahead of time but didn’t realize I would need a third for the week after returning from vacation. My bad. I thought I could get it out last week but I failed, as you can tell. It’ll be ok. Right? Let me start by fixing a goof on the Part 5 post. 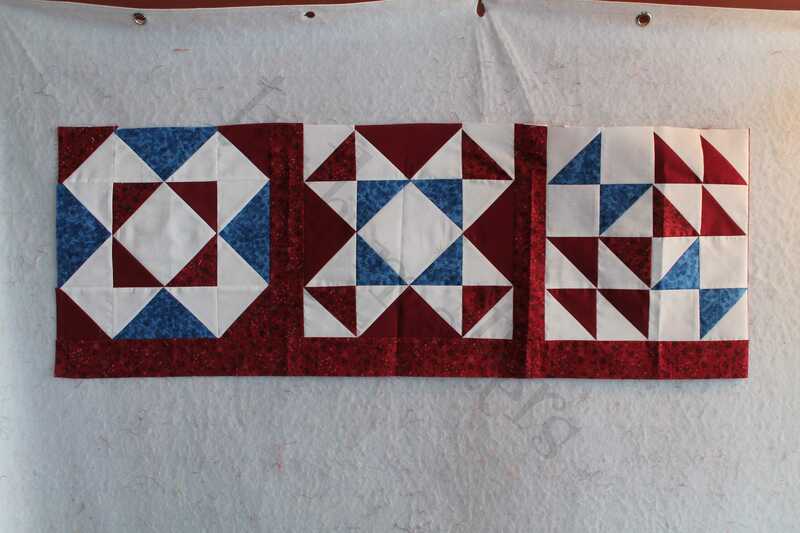 I told the ones making the small quilt to add together 4 blocks with the Red #1 sashing. I was wrong. 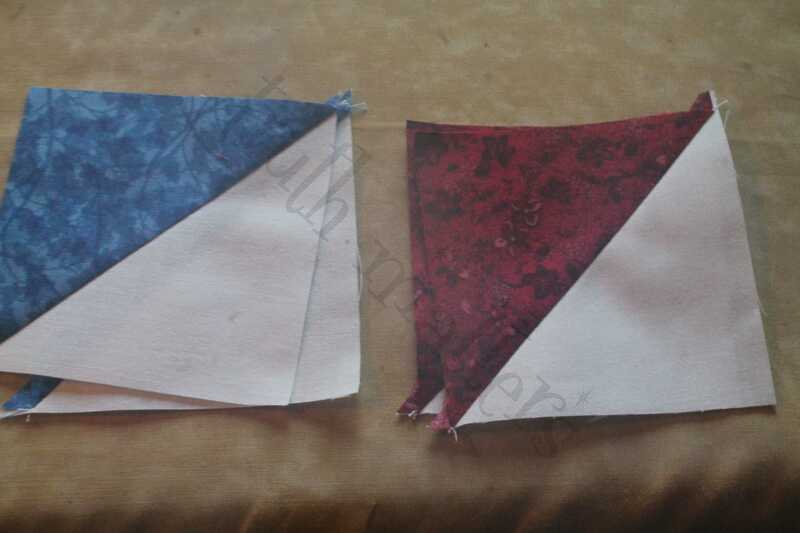 For those making the small version of the quilt, only connect three with sashing and then put the sashing below it. 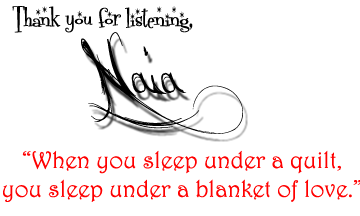 See the picture above for assistance. I just folded my 4th block in to show you. I’m making the large quilt and needed to leave mine sewn together. 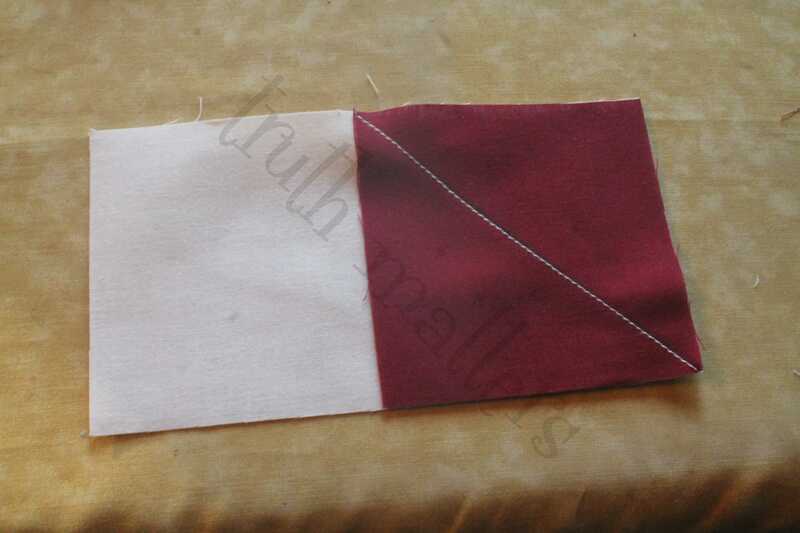 Draw a diagonal line on the back of the (4) White 3 7/8″ x 3 7/*’ and the (8) Red #2 3 1/2″ x 3 1/2″. 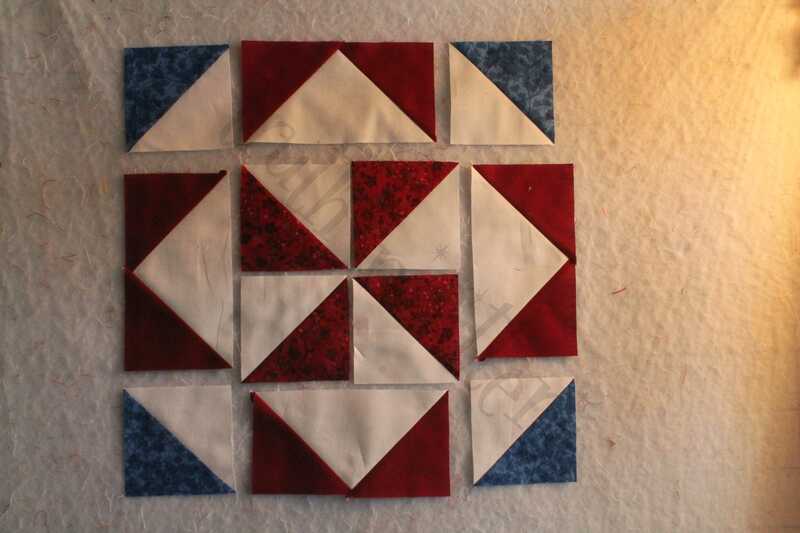 The four Blue HSTs are on the four corners and the Red #1/White HSTs are in the middle, creating a Pinwheel. Assemble as seen above. I didn’t get as many pictures this week. If you need, give me a shout on Facebook or here. I’ll gladly do again and show more pictures. Thank you for your patience and look for block 6 & 7 this week. I am anxious to finish this and get it ready for summer and it seems to be coming way too fast!